SAIL IN VENICE Discover the most authentic and unspoilt aspects of Venice, the Sail Charter, an opportunity to visit the city, the lesser known islands and the environment of the Venice lagoon in an aware sustainable way. WATER is one of the key theme of Expo! Hoist the sails and after leaving the island of San Giorgio, tack out to sea, past the Sant'Andrea fort built to defend the city of Venice from attack from the sea. If you keep slightly to the right you can admire the unique characteristics of a place which is a cult for Venetians, the bacan, an area of sand stretching from several square kilometres to just a few hundred metres depending on the tide. This is where Venetians have been going to fish or spend the humid summer days on their boats for centuries. Once you enter the Treporti channel leading to the extreme north of the lagoon, you are plunged completely into the typical lagoon scenery. It is a place which lives to the slow rhythms of the tide, transmitting a unique sense of peace and tranquillity. Among the salt marshes, you can glimpse the brightly coloured houses and famous leaning bell tower of Burano. After the obligatory stop to visit the islands of Burano and Torcello, you can find safe moorings near Mazzorbo. Here and on Burano there are numerous restaurants offering fresh fish and typical recipes from the Venice lagoon, an excellent place for dinner and to spend the night. Leaving the islands of the lagoon behind, head out to sea through the Lido inlet to sail with the borin, the morning wind blowing towards the South. Sail along the full length of the Lido coastline with its beaches and historic hotels, to then re-enter the lagoon through the Malamocco inlet and drop anchor near the fascinating island of Poveglia. In the morning, the view is enchanting. Weigh anchor and head towards the fishermen's villages of Pellestrina and San Pietro in Volta. In this enchanting place you can eat in the restaurants near the water's edge where you can admire the typical fishermen's huts rising up among the lagoon shallows. Sunset is your travelling companion on your way back toVenice. Fix the sensations evoked by the places you have visited in your mind and leave behind you that peace and tranquillity which only Venice and its lagoon can still transmit. Embarkation/desembarkation in Venice and overnight on the boat. Sail in the direction of the north lagoon, passing between Sant'Erasmo and Treporti and going ashore to visit the islands of Burano and Torcello. Night at anchor or moored near Burano - Torcello - Mazzorbo. Trip out to sea through the Lido inlet and sail southwards back into the lagoon through the Malamocco inlet. Night at anchor off the island of Poveglia. Visit to the fishermen's villages of Pellestrina and San Pietro in Volta and sail back towards Venice. 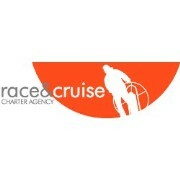 Race & Cruise offers yacht charters along the Adriatic coasts. Our sailing boats, moored in Venice, offer you a full-immersion experience of sea and sun. You can discover the hidden beauty of the Lagoon where you can stumble across basilicas and monasteries at any moment, or the lesser known itineraries of Silent Venice. If you prefer, you can even reach the coast of Croatia with its sun-drenched beaches and hidden bays. Our mean of transport is the yacht. This is the way we have chosen to enjoy the sea and discover the natural environment. For us, it is more than a choice. It is a natural consequence of our passion for the place where we live - Venice and its lagoon.